The Round the Island Race is an annual event where you sail around the Isle of Wight. It is one of the biggest yacht races around and attracts competitors from Europe, the USA and all over the UK. Starting and finishing in Cowes, Isle of Wight you will race West around the Island passing famous landmarks such as the Needles and St. Catherine’s Point. Whether you are new to racing or a seasoned crew member, the Round the Island race ticks all the boxes. Racing alongside over a thousand other yachts is an exhilarating experience and makes for many stories. 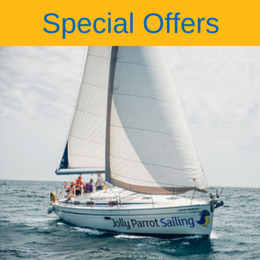 Jolly Parrot sailing are offering the complete package. 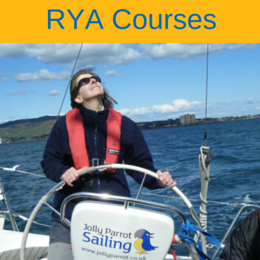 You will start this exciting weekend with a training day on the Friday where you will get the opportunity to become familiar with the rest of your crew, your yacht and skipper. After safety briefs have taken place you will head out for a day of training, coaching and bonding with your fellow crew in the Solent. Saturday begins with a prompt start ready for a busy day of racing. You will get the opportunity to be an active member of a functioning race crew on board one of a fleet of 20 matched Beneteau Oceanis 37 Yachts. Following our exciting day of racing you will head into Cowes, the mecca for UK Yacht racing where there is fantastic“après-sail” entertainment laid on to celebrate the day. On Sunday you will prepare the boat and take a leisurely cruise back from Cowes to Hamble.